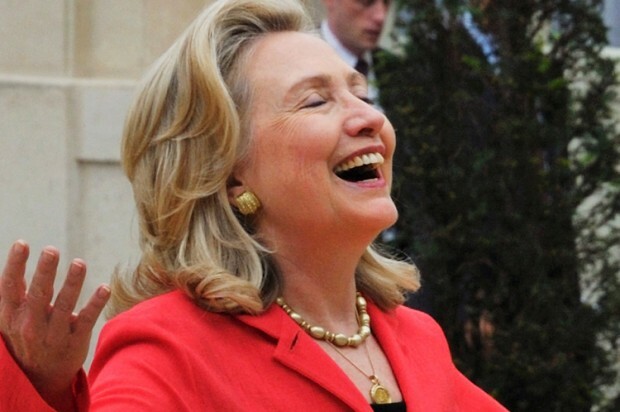 Why the Hillary 2016 Obsession So Soon? Although Hillary Clinton has offered no hint as to her future plans and is not stoking rampant speculation about another Presidential run, reporters cannot stop talking about it. Put simply, when you love the one you’re with, you are not busy obsessing over where you are going to be, and who you are going to be with, four years from now. If big media, and by that I mean the President’s erstwhile fan club, had something great to talk about with President Obama, they’d be talking about it. No one is commenting on the fact that it is rather disrespectful to him to be so preoccupied with an event that is years away, indicating an unspoken desire to dwell more on what will happen after he has left office. One could argue that the President’s defenders in the press are trying to shield him from one bad news cycle after another. But this is about more than just selling copy by using Hillary’s name, or the press distracting us from current governing missteps, scandals or demi-scandals plaguing this administration. More likely that President Obama’s advocates are distracting themselves from their disappointment with him. Via revelations about the IRS and AP scandals, his predilection for use of predator drones, preventive rendition, the NSA spying on average Americans, Gitmo remaining open and much more, the President has been crowned “George W. Obama.” Believe it or not, The Huffington Post came up with that moniker. He is also rendering himself largely irrelevant by focusing on an issue few are talking about — i.e., climate change – while we are still plagued with troubling joblessness. When is the umpty-umpth “pivot to jobs” speech coming, I wonder? When MSNBC’s Chris Matthews blames the sun for “ruining” the President’s recent speech at Berlin’s Brandenburg Gate, since it stopped him from reading his TelePrompTer to effectively “close,” and Mick Jagger is mocking Obama for NSA wiretapping, things are looking sad for the home team. The New York Times just reported on a breakfast with major Hillary donors, both Democrats and Republicans, who are anxious for a Clinton candidacy. She was just quoted on her take on the Snowden/NSA leak matter. CBS reported that “supporters came out in droves” to see Hillary speak in Los Angeles. MSNBC is reporting on her “pre-game” strategy. Progressives at Salon.com are already saying their vote is hers to lose “but please, no Lanny Davis” or Mark Penn. The UK Telegraph thinks Hillary is paving the way for a future Chelsea presidential run. Point being, everyone is already telling her how to win and commenting on her appearance – not to mention her new hairdo. The Washington Post’s Chris Cillizza, no friend to Hillary if his past reporting is any indication, is also commenting about the “presidential sweepstakes” and her need to manage her early message carefully. But she is not offering a message. I am not naïve enough to think that means there isn’t one. Otherwise, we would not have close Clinton ally and former campaign surrogate General Wesley Clark, and 2008 Obama champion, Senator Claire McCaskill, along with former Clinton advisors James Carville and Harold Ickes urging us to donate to her unofficial super-PAC, Ready for Hillary. As much as all this Hillary foreplay and super-PAC brouhaha could be about cowing all comers (like Cuomo, O’Malley or Biden), it is also a way of looking forward, indicating a yearning in certain circles for a stiff-spined leadership we do not currently enjoy. For a woman trying not to be in the spotlight, Hillary’s every move is getting a ridiculous amount of press. Ironic that during the first three years of her tenure as Secretary of State, there was a media blackout on her. Important policy speeches she gave, awards she won or her work on behalf of women and children around the world received scant to no coverage. 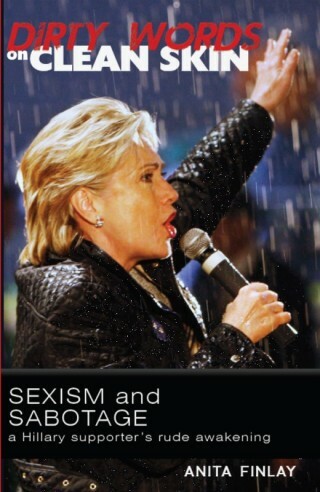 The press was careful not to allow her words or deeds to outshine those of President Obama. We only, and finally, got positive press coverage of Clinton in 2012 when it was hoped that the reflected glow of her popularity would positively impact the President’s re-election hopes. It worked. Many here also cited Clinton’s toughness. In an era when many progressives have been frustrated by Republicans who obstruct anything Obama, they would welcome some of Clinton’s fire, as opposed to Obama’s always-cool approach. Only a few brave souls on the left have gone on the record admitting it looked less like Obama lost the fight with Republicans, but rather, that he never waged one. Hillary was a fighter six years ago, but those who now tout her were too shortsighted to see it. Clearly, they have tired of much of the hope and change talk offered by President Obama. The Guardian’s Glenn Greenwald and author Jeremy Scahill, true believers both, have made note of how President Obama has exacerbated George Bush’s policies and continued the corrupt connection between corporations and government. When the best the press can do is to partner with both Democrats and Republicans in Congress is to demonize Greenwald as someone who has “aided and abetted” in the commission of a crime in re breaking the NSA wiretapping story via Edward Snowden, we are at a bad pass. The whole point of living in a constitutional Republic is that we have a voice and a vote on what is happening to us and how we live as Americans. That the “most transparent administration ever” has sought on a number of occasions to deny us that right by keeping us in the dark flies in the face of not only their biggest campaign mantra, but the basic fiber of who we are. The bulk of mainstream media has championed and run interference for our president since his candidacy. His supporters may have been less excited to get him re-elected but stepped up anyway since the Conservative alternative was too awful for them to contemplate. They have since made it clear that the enthusiasm for his message is all but gone. His current approval rating is underwater. While there will never be an admission of a mistake in putting a man with so little experience and too cozy a relationship to corporatists and lobbyists in the White House, the forward looking Hillary-obsession is the best indicator that these various factions are anxious to move on. I do not for a moment believe there is a new found love for Hillary from Progressives, who have always found her too hawkish. But The Hill’s A.B. Stoddard sums up the current situation best in her piece The Hillary Bandwagon. Ms. Stoddard points out the Democrats realize she is not only their best, but their only hope to retain the White House in 2016. That is in part due to President Obama himself, who has spent no time cultivating the Democrats’ own farm team. Someone should have told him he is not the only one on it. The Democratic party and so does the media let Hillary down when she needed them in the primaries, now even Nancy Pelosy is supporting her as a future candidate. So now it seems that the party needs her. I think Hillary, if she ever decide to run again, should run as an independent and i hope by that time most of the people will be disappointed in the two main parties enough which enables Hillary win the presidency. Hillary Clinton is a very loyal democrat. She has spent her whole adult life in the party and her support and power base is all with in the party. She would completely remake it before she ever left it. Her husband was a Democratic party president. Please don’t be discouraged though. Hillary would probably be a great influence on the party. I think Democrats have buyers remorse. Many know they made a mistake shoving Obama down our throats. Women politicians who supported Obama suffered a back lash from women and even though they would not publicly acknowledge it, they want to make up for their mistake now. Even Donna Brazile has tried to jump on the bandwagon. I am just spiteful enough that I don’t want her anywhere near a Hillary campaign. As far as the media….I just think they are bored to death with Obama. I am curious though, who in the republican party do you think is supporting a Clinton run? Is it women who are looking for a moderate women they can get behind? Interesting observations, Teresa. I was not aware women like McCaskill suffered any backlash for their actions. I know Oprah did, but women politicians or commentators? I’d love to hear more about that if you have it. As far as Republicans are concerned, I m just quoting from the NYT article mentioning Republican donors. I don;t know specifics but even in 2008 when I was campaigning for her, I remember rank and file Republicans who were waiting in good numbers for the general election to cross the aisle and vote for her so this fact does not surprise me. The trouble is not the general election. She was always running as the general election candidate. The trouble is surviving the primaries where one has to make ridiculous promises to one’s own base — which Hillary would not do. In painting Hillary as ‘inevitable’, the press does her no favors.. If they don’t leave her alone, she will peak long before the primaries.. I wonder how many of her supporters at bottom, just want Bill back ? I suspect more than a few, and they would be misguided, to say the least. At this point, she is the least likely candidate to challenge Obamacare. How she wriggles around that one will be interesting. By then, both Cal. and NY voters will likely have seen their insurance rates double, hardly helpful to any Dem candidate. Old adages make sense because they are often true, ‘be careful what you wish for’, seems appropriate here. Well, if anyone can fix the mess of Obamacare, she can. She actually knows something of health care delivery — unlike the current crop running the show. But I do agree with you that the press does her no favors with this early obsession and that is exactly my point — I don’t think they mean to do her any favors. If the corporate owned media actually wanted her, they would have pushed for her last time instead of trashing her all the live long day — she did not just suddenly become qualified. She was qualified in 2008 as well. I don’t think her supporters just want Bill back, though. She has more than distinguished herself and long ago stepped out of his shadow. I initially supported then First Lady Hillary’s attempts to bring the country into some sort of national healthcare. Was disappointed when it failed. So agree that she has experience and the scars to prove it, in that arena. But a Presidential candidate and a FL are wholly different animals. First, there’s all that lovely money from the insurance co.’s, which all candidates gladly take, then there is the resistance from other groups who prefer the status quo for a variety of reasons, some of them valid. Anyone who follows Obama is going to have a mess to clean up and they are all going to be beholden to the insurers, not a good starting point from the taxpayer’s point of view. At some point, Obamacare morphed into a sort of weird Rube Goldberg contraption, one little widget out of order, and the whole thing falls apart. It is past the point of tinkering to make it better. So Hillary would be presented with trying to appear to support a bad program, while knowing better than most, how unsupportable it is.